Want to add to your portfolio? This property provides a wide range of potential. Use it as a home and income, turn it back into a single dwelling or simply add it to your portfolio and continue to see the benefits of its return. This large two flat property has beautiful aspect and elevation to take in the city. 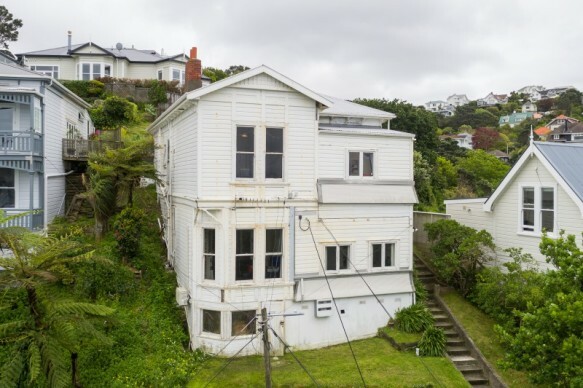 On the cusp of Thorndon and Wadestown there is so much on offer just a short stroll away. Add your personal touch to this property as it needs a bit of TLC. LIM report and rental assessment available. Add value to this 2 flat property in such a prime location!